These processes are complicated, so don’t feel like you’re the only one confused. In fact, many on City Council are confused. Horizontal drilling is the drilling method. The “well completion” technology involves enhanced oil recovery (EOR) methods which can be primary, secondary or tertiary. You need to use a form of EOR to facilitate horizontal drilling. In our area they will use a primary form of EOR to get oil out of rock (but it’s still classified as “Conventional” oil according to the industry) what the industry prefers to call “low volume well stimulation” or what many would, even in energy industry, refer to as low volume “fracking”. However, there is no legal definition of “fracking”. It’s purely a slang term used for expediency, but most folks think of it as water and chemicals to get oil/gas out of rock. Jordan Development (the oil and gas company) is hinging it’s definition on the strict geological sense of having to physically “fracture” the rock, as well as a 2011 MI regulatory definition that specifies HIGH volume hydraulic fracturing as using 100K of water or more a day. Proposed Oakland county wells, as now planned, will fall at or below that rather arbitrarily set standard (100K water/day). Jordan will be targeting a more permeable layer (carbonate) of rock than shale, so will not need to create the high volume pressures to “fracture” dense rock, nor will they need sand to keep fractures open. Semantics. It’s still water, chemicals, acid forced under pressure a mile down, then 1-2 miles horizontally to get oil and gas out of rock. Does falling below an arbitrary standard of fluid/day make you feel better? The Mayor of Rochester Hills, Bryan Barnett, and many City Council members have been repeating that a “no fracking” clause was added to the lease contract. Here is exactly what that contract says. “Lessee agrees that, as it pertains to the lands covered by this lease, it shall not utilize the procedure known as High Volume Hydraulic Fracturing wherein it uses sand or other forms of proppant to hydraulically fracture the well as commonly utilized in unconventional shale plays such as the Marcellus Shale in Pennsylvania.” So, the contract does not simply say “no fracking”. It says “High Volume Hydraulic Fracturing”, like what is used in Pennsylvania, will not be used. Most would agree that low volume hydraulic fracturing is fracking. Saying there will be “no fracking” is very misleading. Additionally, the oil and gas company would not use the same technique as used in Pennsylvania. There is a completely different shale formation in Michigan requiring many differences in the extraction process. Legally, this language is ambiguous and provides a loophole for gas and oil company to proceed with any extraction technique they desire. Shouldn’t our local legislators understand the terms of a contract before signing it? Should the residents of Rochester Hills have a say on issues with such long term implications? 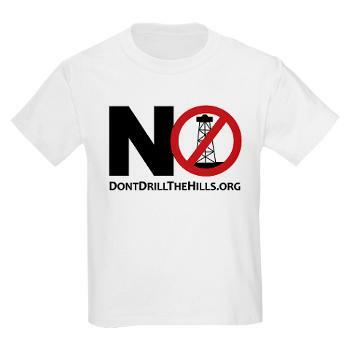 Let the Mayor and City Council know what you understand about oil exploration in high density neighborhoods and what you think of it. Let the Mayor and City Council know what you understand about oil exploration in high density neighborhoods and what you think of it. Attend the Rochester City Council Meeting this Monday, April 7, at 7 PM. Are Rochester Hills City Officials once again betraying the public trust? What else would you expect from a guy well groomed by Jack Dalton and Pat Sommerville and Brooks Patterson and Thersa Mungioli and Michael Bouchard and the others who have brought us NO TRANSPARENCY, crappy streets, fluoride in the water like communist NAZI GERMANY? Recallpetitions.com for those who violate their oath of office IN ALL elected pisitions – judges, governor, secretary of state, sheriff, attorney general,, county commissiober, city council, dog catcher, etc. Get them ALL out. I’m a lifelong resident of White Lake, one of many ecologically sensitive and well water dependent areas targeted by West Bay and Jordan Development, neighbors had black water running from their faucets after the first oil well went in. These are not “fracking” and still cause contamination, but you will never hear about it. Residents could not afford the water test accepted by the State or get it in time to prove anything. More oil and gas wells continue to be drilled next to our water wells and the Huron and Clinton headwaters. Neither West Bay nor DEQ offered any information or assistance. NO ONE but those affected are acknowledging the risk to our lives and habitats. Please get a lawyer and baseline water test prior to any drilling if you can. Townships can pass ordinances against solicitation of leases as well as types of trucks and horizontal drilling equipment, like Highland Township has done. Pay attention to who you keep on your Township Board !